I volunteered to help decorate for Kindergarten Roundup at our elementary school. My Mother-in-Law is our school secretary and was asking if I could cut out a star at 1 or 2 inches in 5 colors. I asked her to give me something a little more challenging!!! She and I went over several theme ideas at Thanksgiving (Zoo, Beach, Balloons, Crayons, Spring bugs/flowers) and she pitched these ideas we had to the kindergarten teachers. They liked the crayon idea so I ran with it! I used the crayons from My Community sized to 9.46 inches for the banner flags. I used these stars from George sized to 3.75 inches. I wanted stars for the letters as well as for between the words on the banner. For the letters, I used Nate's ABCs and sized them to 1.90 inches. I like that this font is kind of schooly!! In addition to the banner, I made crayons sized to 6.04 to be used as name tags. We opted not to use the wrapper layer because the wrapper for red is pink - and some boys really don't like pink! They will print of a white sticker label with each child's name on it and place it on the crayon. I also cut out a 9.46 inch crayon for the teacher to use on a sign to signal which group they are leading. I cut, and cut, and cut!!! Putting the banner together took up my entire daycare table!! I used my 5" Xyron to adhere the letters to the stars. I used my ATG gun to adhere the stars to the crayons. I used my Crop-A-Dile to punch the holes in the crayons and stars. I punched 5 at a time - love that about my Crop-A-Dile!! I wanted the banner to be simple and to be able to store flat and possibly be used again. The very best part of my banner is that my son's teacher gave me all of her scrapbook supplies (as she is into quilting now) and I was able to use some of her paper for this banner! I went to an all day crop Saturday as a fundraiser for a high school baseball team. It was AWESOME because the baseball players carried in all of our stuff (and back out at the end of the crop), the baseball moms cooked us some great food and there was a snack cart that came by several times with snacks and drinks. I went last year too and will continue to go because it falls at a great time of year for me - BEFORE baseball season starts!!! Many of you know I have a High School senior this year and have been working hard to get his album up-to-date and get some graduation decorations completed before baseball starts. My layouts are simple because Tyler likes no-fuss and because it is more important to me that they be COMPLETED than perfect! Today is a quick overview of my layouts. If you want more details, leave me a comment and I will provide a separate blog post with them! The two-page layout at the top is something I do each baseball season. I trim photos to 3x3 or 3x6 and make a collage. I leave some spaces open to put a title on. Our Boys Varsity Baseball Team took 3rd place in Legion Baseball last year. It was a great summer for them!! For this page, I made a pocket for some of the newspaper articles. The page on the right was purchased at CKC Kansas City (I changed the background page) and the company EZ Lazer Designs. This layout design is one of my own. I shows Tyler batting and catching. This page is next to the previous page (I really am a freak about coordinating 2 page layouts) and I used cuts from the Baseball cartridge. I added a quick page from my cousin's wedding this August. Tyler played tennis again this year. This page goes next to his Letter certificate. You can see that layout HERE. These next two pages were photo highlights. I like including the coach - Love Coach Cooley!!! I used a chipboard sticker set to embellish. Homecoming pages!! I did add the ribbon and ribbon flower after I got home. I typically don't bring a lot of extra things to crops unless I have them already planned out for a specific project. I used 3 Girl Jam Cherry Lipstick crinkle ribbon. Page 2 is pretty simple - I wanted the focus to be on the pretty people in the pictures!! Tyler loved holding the animals and birds for photo shots while we were in Mexico. I used bright papers and solid cardstock mats for these layouts. Pick a subject/family member/event to work on. Make a list of pages in order that you want to work on. If you scrap each child separately, re-use layout ideas! Cross off your list as you complete each page! I was super motivated because I want to get his album done before Graduation. I also did a free MITI from Close to My Heart, ate lunch and dinner, talked with my sister-in-law and friend Linda, and showed a lady how to use the cricut. It was a great day!! Please leave me a comment with your crop hints! Also, let me know if you want more information on my layouts. I typically have a detailed tutorial but I wanted to get these all posted. I am willing to share if you want me to! I have a friend who is having a hard time right now. Her 3 year old twins have been sick for a few weeks and her uncle just passed away. She had to fly out of town for the funeral without her husband and kids and is missing them something fierce. To top if off, this is her birthday week. I wanted to make her a card to let her know I am thinking of her. I pulled out my Cricut Imagine carts and found this adorable image and paper pattern from Imagine More Cards. I cut out the owl image at 3 inches. I opened up a 3:5 rectangle and filled it with the blue patterned paper and sized it to 4 inches. I folded the blue patterned paper into the card base. 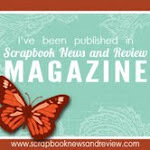 I trimmed a scrap of brown Kraft cardstock to fit the front of the card. I inked the pieces with Tim Holtz Vintage Photo ink. I adhered the layers and added some twine. The word "BE" printed in yellow and was hard to read, so I wrote over it with a red marker. I am hoping that my little card will put a little smile on my friend's face and brighten her day!! Our Elementary School Book Fair is coming up. I made signs for the school once again. Last year the theme was Books on the Beach and you can see what I made HERE. This year the theme is Story Laboratory (Reading Gives You Super Powers) and the librarian wanted a Robot theme. She really wanted beakers and test tubes too! I made a 6' wide window sign (above) and three smaller signs for Blimpies Night (below). I started out with my Gypsy and Robotz cartridge. I picked out two robots and sized them and their layers to 5 inches for the smaller signs. I used cardstock that Tanner's teacher gave me when she cleaned out her stash to cut them all out. I love when things come full circle!!! The open book is from A Child's Year. The stack of books is from Locker Talk. 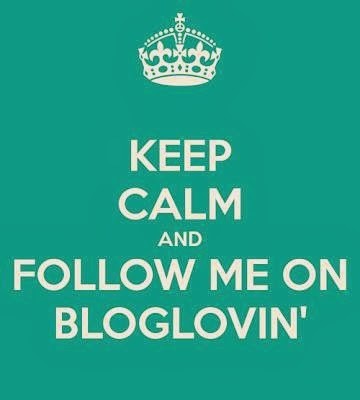 I did not use the Big Bang Theory symbol (Uranium), but it is also from Chemistry Icons. I also found these images from Chemistry Icons (CCR Exclusive). Here are my 5" robots. I think they turned out cute!! I put a cape on the robot because the sub theme is Reading Gives You Super Powers. I thought it was cute, but did not really fit the Lab theme I created. Here are the beakers on the small posters. They are sized to 2.18 inches. I cut out the letters from Robots sized to 3" and 2.5". I used the negative cuts to line up my letters. I ran the letters and numbers through my 5" Xyron machine and stuck them on the poster. I gently pulled up the negative cuts. I re-sized the robots to 11 inches. I made these tables out of brown cardstock. The long table is two pieces of 3x12 cardstock glued side by side. The legs are 1.5 x 6 strips tucked under the table top. The small table is 3x8 cardstock. The laptop and stack of books are from Locker Talk. The laptop is sized to 3.43 inches. The stack of books is sized to 2.69 inches. The open book is from A Child's Year and is sized to 2.23 inches. The test tubes, beakers and microscope are from Chemistry Icons which is a CCR exclusives that I got free on my Gypsy last summer (have been afraid to update Gypsy because I will lose all of these awesome cuts)! I sized the beakers to 3.18 inches. This sign will hang in the front window of the school. I enjoy sharing my time and talent with the school where the teachers share so much of their time and talents with our students!! 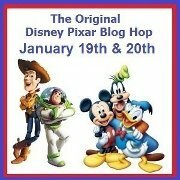 Welcome to The Original Disney Pixar Blog Hop!!! I am so honored to be a part of this hop!! 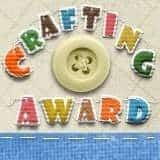 ContainYa Crafts will be donating a Scrap'n Easel for a prize! I saw a Back to School Countdown on Pinterest and I made one that counts UP to the 100th day of school. I did include enough numbers for the entire school year. You can see how I made this HERE. We are planning a Walt Disney World trip in the fall. Our youngest is 7 and will soon be too big for all the kiddie magic of Disney. We want to go one more time while he is still young, especially now that Toon Town is completely refurbished. For the record - we are a HUGE Disney Family and will return to Disney again....we just want to take advantage of other vacation opportunities. Tanner has been to Disney World 5 times plus a Disney Cruise last year - he is very lucky!! I sized both of these count down projects to 5" x 5". It took me a while to figure out the best size to use with my Bind-It-All. I knew that when I made my note pads, the pads are 3" across the top and my BIA fit 6 wires - so I made my number cards half that size (1 1/2") to fit 3 wires across. Once I had the measurements of my number cards (1 1/2 x 2 1/2) I could figure out how big to make the Mickey Heads. I used the Mickey Heads from Disney/Mickey Font Cartridge and sized them to 1 inch. I used the numbers from Disney/Mickey Font Cartridge and sized them to .5 inch. I put a 5x5 square on the next layer to use as a guide for my "Countdown to Disney" title. I sized the letters to .5 inch. I centered the letters in my space to provide me a template (more on this later). I used black and red cardstock to cut out my numbers, letters and Mickey Heads. I grabbed this Mickey paper from my Disney Stash and cut two 5x5 squares to cover both sides of the 5x5 chipboard I cut as my base. I cut a rectangle of red cardstock to 1 3/4 x 5 inches. I laid my template on top of the red rectangle. I ran my letters through my 1" Xyron and stuck them inside the template. I gently peeled up the template and my words are perfectly placed on my project! This is one of my favorite skills I learned from my Gypsy!!! If I have to put words on a page without a template, they are NEVER straight!! I ran the numbers and Mickey Heads through my Xyron and adhered the numbers onto the Mickey Heads. I added a little black border with my EK Success punch on the advice of my good friend Jenny. Very happy with it (I rarely use the few punches I have)!! I punched the entire 12" top of the paper and then trimmed it. I cut it to fit both the top and bottom sides of the mat. I adhered it onto the back of the mat. Before I adhered the mat to the base, I wrapped yellow twine around it. I included these photos to show where I lined up the base in my BIA. I need 9 holes, so the middle set of 3 holes were punched twice. For the number cards, I lined up the left side of the paper with the center arrow. I cut 9 rings and attached the number cards. I am totally guessing here, but we try to go to Disney in late September or early October when parent teacher conferences are. This way we will minimize the number of days we take Tanner out of school. I used an inexpensive plate easel to hold my project and still allow the cards to be flipped over every day. This was a fun project to make!!! Thanks for joining me today!! Your next stop in the hop is the Marvelous MADISON!